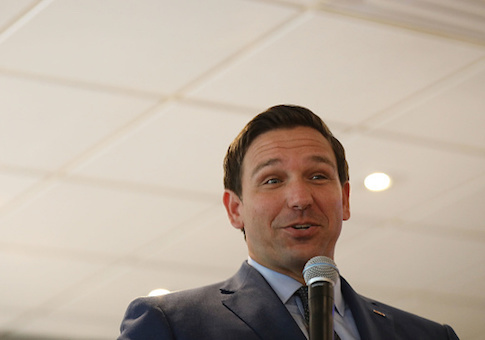 In short, DeSantis proposed expanding them while Gillum espoused "siphoning them off" as drains on the public school system. That distinction – rather than the personalities and ideologies involved – may have compelled about 100,000 African-American women, the vast majority registered Democrats, to vote for DeSantis over Gillum on Nov. 6, according to William Mattox, director of the Marshall Center for Educational Options Director at the James Madison Institute, (JMI), a Tallahassee-based conservative think-tank. According to a CNN exit poll, of the roughly 650,000 black women who voted in Florida, 18 percent chose DeSantis over Gillum – an unexpected wedge of support by "school-choice moms" that was the difference in the race, concludes Mattox in a Wall Street Journal analysis of Florida’s mid-term elections. "While 18 percent of the black female vote in Florida is equal to less than 2 percent of the total electorate, in an election decided by fewer than (32,463) votes, these 100,000 black women proved decisive," Mattox writes. "Yet, many of these ‘school-choice moms’ vote for gubernatorial candidates committed to protecting their ability to choose where their child goes to school," he writes. A 25 percent increase in the $873 million spent last year in school choice vouchers would mean $218 million more for charter schools – or nearly $1.1 billion in fiscal year 2020. Gillum opposed the growth of charter schools, claiming proponents are "siphoning off public money into privately run schools" that are "unaccountable, for-profit charter schools who want to use public dollars to enrich their executives." "We’ve got to begin to bring that to conclusion," Gillum wrote in his campaign statement. "It’s been 20 years of the underfunding, the defunding of the public (school) system, which still educates over 90 percent of our kids." DeSantis’ support for charter schools was more compelling than any other reason for this "apparent ticket-splitting" by nearly one-fifth of African-American women in the DeSantis-Gillum race, JMI maintains. Of those same African American women cited in CNN’s exit poll, more than 90 percent supported Democrat Bill Nelson’s failed bid for a fourth term. The "school choice moms" vote "helps explain why the Florida governor’s race wasn’t as close as the Florida Senate race, though Gillum was widely expected to carry Democrat Sen. Bill Nelson to victory on his coattails," Mattox writes. Gillum "chose to ignore signs that many minority voters view school choice as ‘the civil rights issue of our time,’ to quote Condoleezza Rice," he writes. "Mr. Gillum figured his charm and potential to become the state’s first black governor would win over African-American voters." Florida is not the only state with "school choice moms," Mattox notes. "The unexpected outcome of the Florida governor’s race should encourage Republicans nationwide to pitch their education agenda to minority voters," he writes. "Most of all, Florida’s surprising outcome ought to encourage every American – especially in these hyperpolarized times – to support policies that bring together strange bedfellows to solve serious problems," he concludes. This entry was posted in Politics and tagged 2018 Election, Andrew Gillum, Ron DeSantis. Bookmark the permalink.